The right-turn warning at NE Couch and Grand is the only such sign in the country. 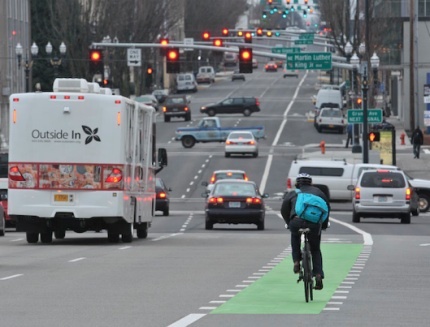 As Portland edges closer to possibly adding protected bike lanes to its downtown, a new study has found that one of its most unusual bike-lane intersection treatments seems to be working. 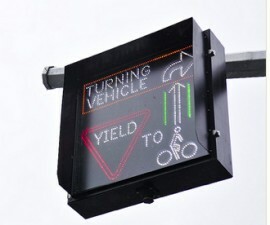 The LED sign above the intersection at NE Couch and Grand that flashes “Turning Vehicle Yield to Bikes” seems to have reduced right-turn conflicts by more than 60 percent since its 2011 installation. 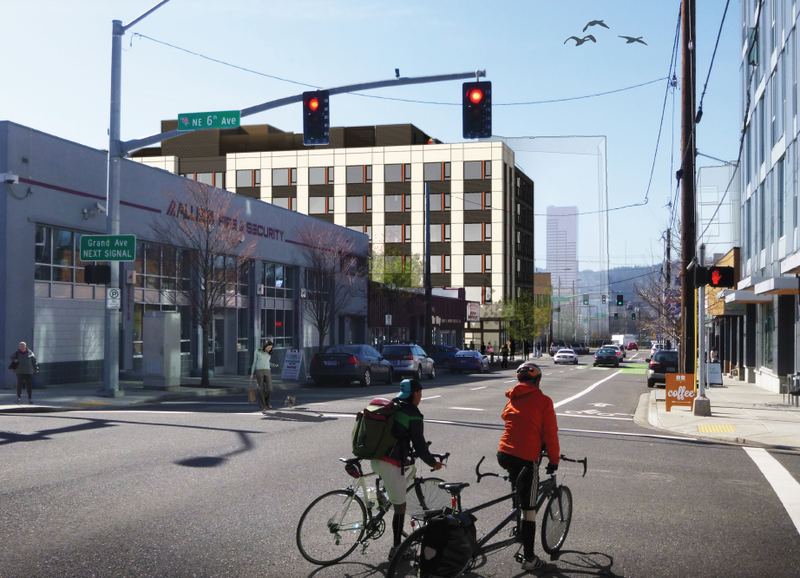 A 158-unit building proposed at 419 E. Burnside would feature a “bicycle lounge,” possibly with free coffee and video games. 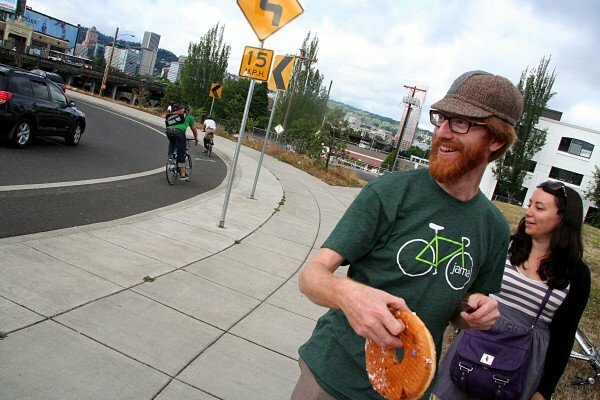 After two decades of waiting for Portland’s bike network to arrive downtown, it looks like downtown is headed for Portland’s bike network. Now that life on the city’s eastside grid has exploded in popularity (and therefore in expense), major developers are making a lunge across the Burnside Bridge in an effort to bring 9-story living to the east side of the Willamette. And as construction start dates approach for the first projects of the so-called “Burnside Bridgehead,” the excellent bike access is turning out to be central to their plans. Jen Michaelree’s bike where it came to rest after the collision. Lawyers for a woman injured in a right hook collision in September 2010 at the notorious NE Couch/Grand intersection have filed a lawsuit against United Rentals Northwest alleging that one of their drivers was not properly trained. New sign went up yesterday. 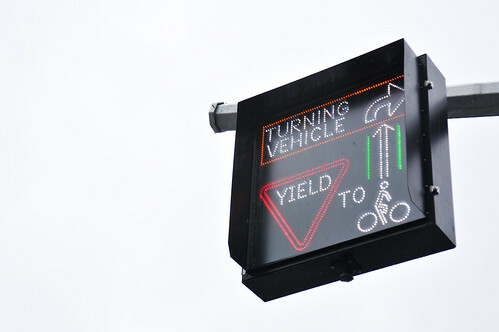 The Portland Bureau of Transportation (PBOT) turned on an illuminated bicycle sign on NE Couch at Grand Avenue. As we reported last month, the intention of the sign is to reduce the risk of right-hooks at an intersection where several injury collisions have taken place. 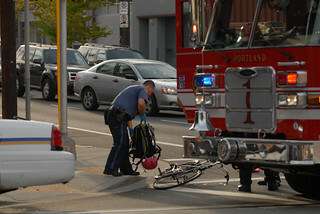 A bike box has already been installed at the intersection, but collisions have continued. The problem is that, even though there’s no right turn on red allowed, that law — and the presence of the colored bike box and lane — don’t work as effectively to deter right-hooks during green lights. This sign is an attempt to address that issue. 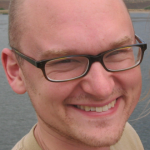 Back in August, Portlander Owen Spencer was right-hooked while traveling westbound on NE Couch at the intersection of NE Grand. Unfortunately, Spencer’s experience was far too common. 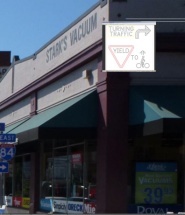 That intersection is well-known by riders and by the Portland Bureau of Transportation as a hot-spot for bike/car collisions. 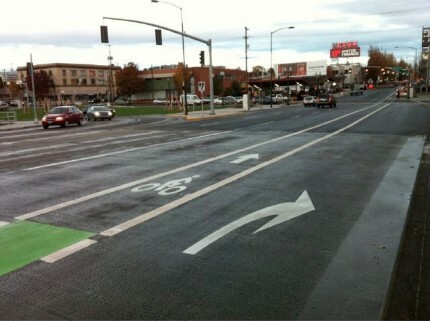 PBOT had already installed green pavement markings and a bike box at the intersection, but after Spencer’s collision — and the community outcry that followed — they realized more needed to be done. The new bikeway on E. Burnside — while not the separated facility we should have — gives people dedicated space to ride along one of Portland’s vibrant commercial corridors. Looking east on Burnside, just west of MLK. 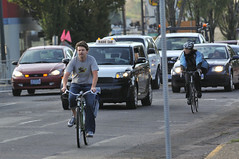 Traffic on Grand Ave. north of Burnside. The City of Portland is hosting a celebration of the East Burnside/Couch Couplet with elected officials and local leaders. The project invested in E Burnside and NE Couch on the Central Eastside, changing them from two-way to one-way streets and enhancing the opportunity for redevelopment and business growth in the Central Eastside. Tuesday, October 12, from 9 to 11 a.m. Congressman Earl Blumenauer, Mayor Sam Adams, business owner Bob Wentworth, Bicycle Transportation Alliance’s Rob Sadowsky and a member of Friends of Burnside Couch will address the audience. The event will be at the northwest corner of E Burnside St. and NE Martin Luther King Jr. Blvd.